Serving Faifax, Prince William, Loundon County and surrounding communities since 2005. We have always been known for reliable auto repair and up to date knowledge of current automotive technology. We are the alternative to the new car dealership for new car service, as well as after the warranty has expired. Contact JR Auto Repair Services today for your next oil change, brake repair, or any other auto repair or service, we have the professionals to do the job. Members of TECH-NET PROFESSIONAL AUTO SERVICE. Giving our customers the highest level service, confidence and trust knowing we offer only the finest parts available along with warranties on every part and service. Providing high quality automotive repairs and maintenance at a fair price, and performed correctly the first time with 100% customer satisfaction. Our skilled and trained technicians have extensive experience and specialized hands on training with the latest diagnostic equipments. Learn how we can help you pay for your car repairs!. Get 6 or 12 months special financing on vehicle service and repairs. 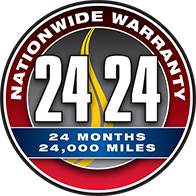 When you have service and repairs performed at a TECHNET PROFESSIONAL AUTO SERVICE center, you're covered by a Worry-free Driving Nationwide Warranty. TECHNET PROFESSIONAL AUTO SERVICE centers can help keep your vehicle maintained and running properly even through the harshest weather conditions. We are honest, fair, and respectful of others. We are forthright and deliver on our commitments. We diligently identify the best ways to deliver high quality services with the most efficient use of our resources. We value new ideas and concepts, which are fundamental to our successful delivery of services to customers. Our success is largely due to the way we care for each of our customers. We have over 26 years in combined experience. ASE Certified Auto Mechanic Technicians. We Are Fair and Affordable. Honest, Reliable, Cost Effective Service. We Keep The Relationship In Mind. I love this shop. They do everything just right. The repairs are done well and I am kept informed on everything. I keep coming back to this shop because I have never had a bad experience, they have all been great and courteous. As usual Great service, friendly people, honest answers. My 1999 Nissan runs like a top. I have been coming here for over 5 years and have been consistently well pleased with everything. Thank you.